Join 4Kids on their mission to provide a home for every foster child! Ongoing Orientations. Interested in helping local children? 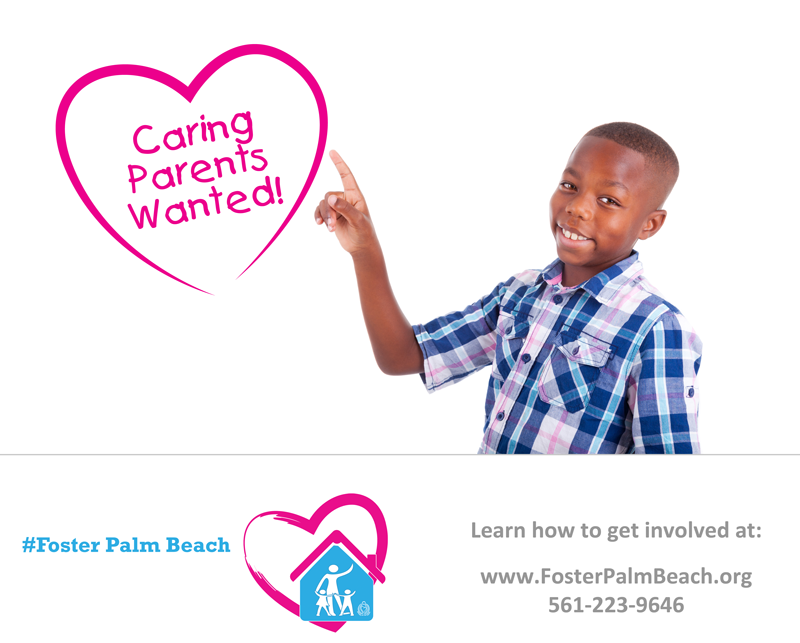 The need for foster families in Palm Beach County has reached a critical need! This is an information session to explain all aspects of how to become a foster parent: the requirements and training needed, the services provided, and the step-by-step process. ​Ongoing orientations and classes. Please contact us for details. Foster Homes are needed for our Enhanced Foster Care Program. Can you see yourself helping a child be successful in life? Then visit us to learn how! Pinnacle Family Services Therapeutic Foster Care Program in Florida is specifically designed to help youth with emotional, behavioral and medically complex challenges. We specialize in serving children who have experienced trauma, loss, abuse or neglect and develop personalized services to help them heal and move forward with their lives. ​It takes special people to foster children in crisis... Learn what it takes to be Foster Parent Strong. This is an introduction to the Foster Parent process. During the information session, we will explain all aspects of how to become a foster parent: the requirements and training needed, the services provided, and the step-by-step process. Cayuga Centers focuses on Enhanced as well as traditional Foster Homes, with trauma-focused skills training. Place of Hope is one of the approved foster parent licensing agencies in Palm Beach County. Monthly orientations are held on various campuses. Please RSVP on their website to ATTEND AN ORIENTATIONhttps://www.placeofhope.com/foster/: To better answer any preliminary questions, please attend one of our orientations. This brief meeting will give you all the information you need to be certain that you want to proceed with the licensing process. We know that being a foster parent is not for everyone; it is a specific calling from God. The decision is not to be made lightly, so we encourage you to ask as many questions as you can before you begin. Curious about becoming a foster parent? Join us for our "Frequently Asked Questions" Night and show you how you can make a difference to a child. Can't find an orientation that fits your schedule? Contact us for a one-on-one meeting. There are 8 different licensing providers in Palm Beach County so new sessions are being added often plus some agencies will do one-on-one sessions. Call us and we'll help you find your pathway to helping Foster Children!